We developed a prototype of the Neutral Gas and Ion Mass spectrometer (NIM) of the Particle Environment Package (PEP) for the JUICE mission of ESA. NIM will be used to measure the chemical composition of the exospheres of the icy Jovian moons. The NIM prototype was successfully tested under realistic conditions and we find that the closed source behaves as expected within the JUICE mission phase velocities. No additional fragmentation of the species recorded with the closed source is observed. By computer simulations, we explore and quantify how to use radiation emitted by molecular oxygen in the Martian atmosphere to measure the magnetic field from the crust of the planet. This crustal magnetic field is important to understand the past evolution of Mars. Our method can measure the magnetic field at lower altitudes than has so far been done, which could give important information on the characteristics of the crustal sources if a mission with the required instrument is launched. Presented work allows estimation of buried source without any prior knowledge of underlying formation. This paper deals the application of continuous wavelet transform (CWT) and Euler deconvolution methods to estimate the source depth using magnetic anomalies. These methods are utilized mainly to focus on the fundamental issue for mapping the major coal seam and locating magnetic lineaments over Jharia coalfield, India. A new technique, tuned PSO, is developed for optimal convergence, avoiding traps of local minima and computing the model parameters: amplitude coefficient factor, shape factor and depth. A number of exercises were done to select the PSO learning parameters. The applicability and efficacy of the proposed method is implemented on synthetic and field gravity anomalies. The analysed results were compared with published results by other methods that show a significant agreement with the real model. Investigations of Mars – its atmosphere, surface and interior – require simultaneous, distributed in situ measurements. We have developed an innovative prototype of the Mars Network Lander (MNL), a small lander/penetrator with a 20 % payload mass fraction. MNL features an innovative Entry, Descent and Landing System to increase reliability and reduce the system mass. It is ideally suited for piggy-backing on spacecraft, for network missions and pathfinders for high-value landed missions. Plasma waves are important observational targets for scientific missions investigating space plasma phenomena. Conventional plasma wave receivers have the disadvantages of a large size and a narrow dynamic range. We proposes a new receiver that overcomes the disadvantages of conventional receivers. The analog section of the new receiver was realized using application-specific integrated circuit (ASIC) technology in order to reduce the size, and an ASIC chip was successfully developed. 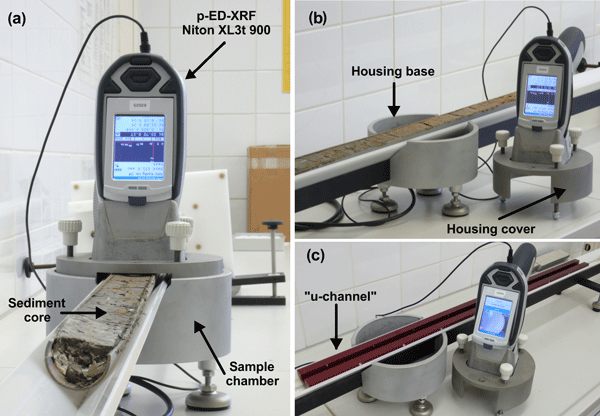 Monitoring and attributing changes in Earth climate requires high-radiometric-accuracy spectral measurements of sunlight reflected from the Earth's surface. The HyperSpectral Imager for Climate Science (HySICS) is a new imaging spectrometer intended to ultimately achieve ~ 0.2 % radiometric accuracies, being ~ 10 × better than existing spaceflight instruments. We describe the results from a high-altitude balloon flight demonstrating techniques intended to meet these high-accuracy requirements. Particle swarm optimization is developed to estimate the model parameters of a 2.5-D sedimentary basin. PSO have been implemented on synthetic data and two field data. An observation has been made that PSO is affected by some levels of noise, but estimated depths are close to the true depths. The PSO results are well correlated with borehole samples and provide more geological viability than Marquardt results. Despite its long computation time, it is very simple to implement. Intrinsic permeability of snow is an important parameter that regulates snow–atmosphere exchange. 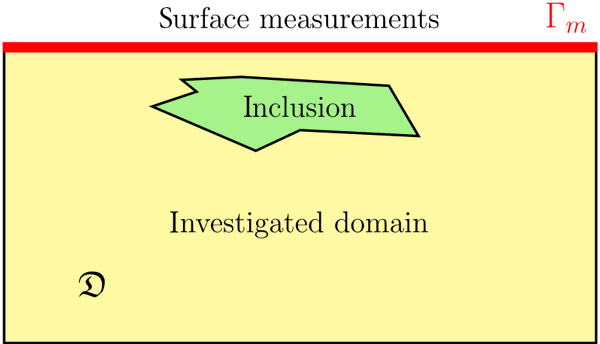 Current permeability measurements require specialized equipment for acquisition in the field and have increased variability with increasing snow heterogeneity. To facilitate a field-based, volume-averaged measure of permeability, we designed and assembled an acoustic permeameter. When using reticulated foam samples of known permeability, the mean relative error from known values was less than 20 %. The new wind reconstruction algorithm developed in this article extends the amount of available sols from the Viking Lander 1 (VL1) mission from 350 to 2245. The reconstruction of wind measurement data enables the study of both short-term phenomena, such as daily variations in wind conditions or dust devils, and long-term phenomena, such as the seasonal variations in Martian tides.